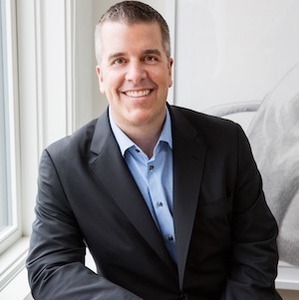 Evan is a life long resident of Seattle and over that time has become an expert in Seattle and Eastside neighborhoods concentrating his real estate focus on Seattle in-city neighborhoods and urban living. He has achieved great success by understanding the emotions a client experiences during the process of buying or selling a home. A quick wit and intuition for identifying the needs of a client helps to make the process easier for all involved. With 20+ years as a Realtor, $450,000,000+ in sales, and hundreds of transactions, Evan understands how to navigate thru all types of market environments and what it means to buy and sell a home. From first time buyers to those well versed in the real estate market, the vast majority of his business is referral and repeat clients, a complement to his ethical approach and track record of success. Evan lives in Washington Park, attended the Lakeside School, and graduated from the University of Colorado with a degree in Finance. Prior to real estate, he began his sales career with our hometown department store Nordstrom, followed by the Seattle Mariners, the Seattle SuperSonics and a tech startup; all in marketing and sales roles. With a passion for kids, he began coaching youth sports shortly after graduating from college and continues that now. Evan is on the board of the Woodland Park Zoo and remains active volunteering in the community and enjoys travel, architecture, and a good dinner with friends. Above all else, Evan loves being a dad and raising his two sons Zack and Dillon.